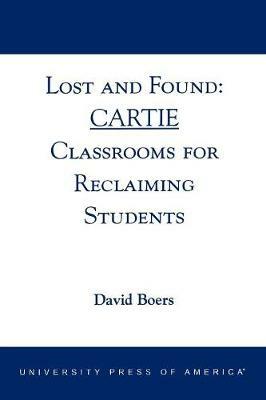 Based on the teaching experience of author David Boers, and supported by literature and research in the field, Lost and Found shares successful ways of developing a classroom in which learning can occur to a meaningful degree. Boers offers multiple methods of establishing personal relationships for enhancing cooperation to give hope and encouragement for teachers of reluctant or discouraged learners. In the final analysis, he offers a formula for creating an environment in which both students and teachers feel comfortable, cooperative, happy, and successful.